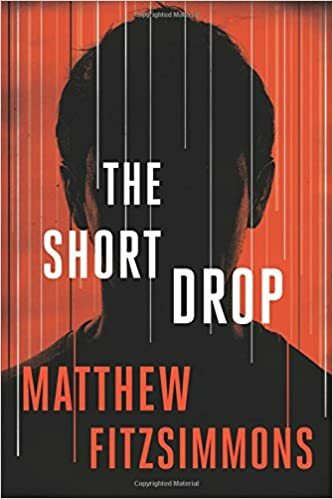 Matthew FitzSimmons is a new author, and he seems to have hit a home run with his first novel, a mystery/thriller entitled The Short Drop. The story’s hero is Gibson Vaughn, a young man with world-class potential who’s the victim of his own indiscretions. Years ago he was briefly famous when he hacked into the computers of a prominent senator, Benjamin Lombard, uncovering evidence of malfeasance. The whole thing blew up on him when further investigation revealed that the actual author of the malfeasance was Gibson’s father, the senator’s chief aid. Gibson’s father committed suicide, and Gibson himself barely escaped prison when he was allowed to enlist in the marines. On leaving the service Gibson learned that the senator, now Vice President, has neither forgotten nor forgiven. In spite of his skills, Gibson is unhireable. Then he gets an offer from a security company to do a short-term hacking job. In spite of his desperation, he almost says no, because the head of the company is a man who used to work for Sen. Lombard. He played a major role in prosecuting Gibson. But Gibson changes his mind when he learns the purpose of the investigation. They’re trying to find out what happened to Suzanne Lombard, the senator’s daughter. She was like a sister to Gibson, and she disappeared as a teenager while Gibson was in jail awaiting trial. He joins the team to work with a male/female pair of operatives, and gets involved more deeply than anybody planned. The story that follows must have been a nightmare to outline. Surprise follows surprise, good guys and bad guys change places, people die unexpectedly, and the plot twists around like a politician’s principles. The tension never lets up. Highly recommended, with the usual cautions.